The earth is home to millions of species. Many of them are going extinct or are endangered by human actions. We need to teach people, especially children, about our natural ecosystem and wildlife, why it is important to not just save them but also to take care of them. For children to become environmentally responsible adults, it is critical they become conscious about the environment from a young age. Here is a list of 21 books you can read to your kids to teach them about the environment and its wonders. Children should be aware of diversity in wildlife to have a deeper connection with nature. When I Grow Up, I Want To Be A Tiger is the story of T-Cub, a tiger cub, who learns the ways of the jungle after his mother goes missing. This book deals with the subjects of poaching and forest destruction in a simple and sensitive way that is easily understandable by children. In Ira The Little Dolphin, the author explores the world of dolphins and the dangers they face, with the help of beautiful photographs. The book sparks curiosity about sea creatures and their life. 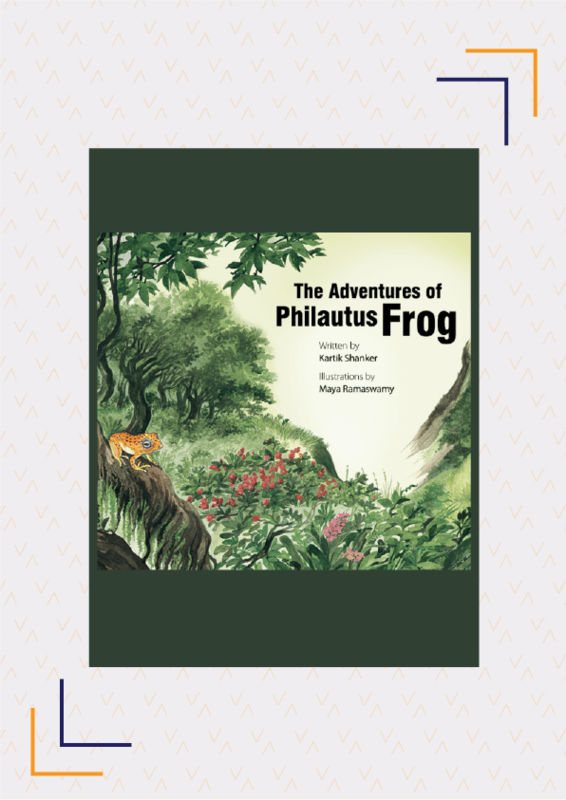 The Adventures Of Philautus Frog provides a glimpse of the magnificent forests and wildlife through the journey of a little frog called Philautus. He travels through the Western Ghats to reach the sea and along the way, he introduces children to many fascinating creatures. It is important for children to know about nature and its wonderful gifts so that from an early age, they can understand why nature should be preserved. Green Gardening: Ideas To Potter Around With shows kids how to use accessible places, such as windowsills, balconies, and terraces to plant gardens. Children can learn how to grow plants in old boots, broken pots, coconut shells; make bird feeders; and even create a small garden of their own. 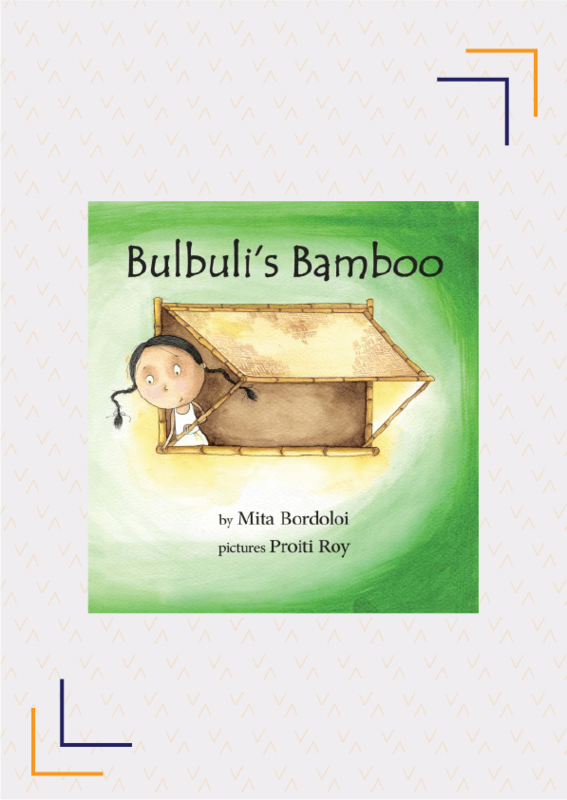 Bulbuli’s Bamboo follows Bulbuli, who lives in a world where everything is made out of bamboo and teaches children the benefits of a bamboo tree. Let’s Catch The Rain! is a fun way to learn about the importance of rainwater and why and how everyone should harvest it. Learning about real-life conservationists is likely to inspire children to follow in their footsteps. 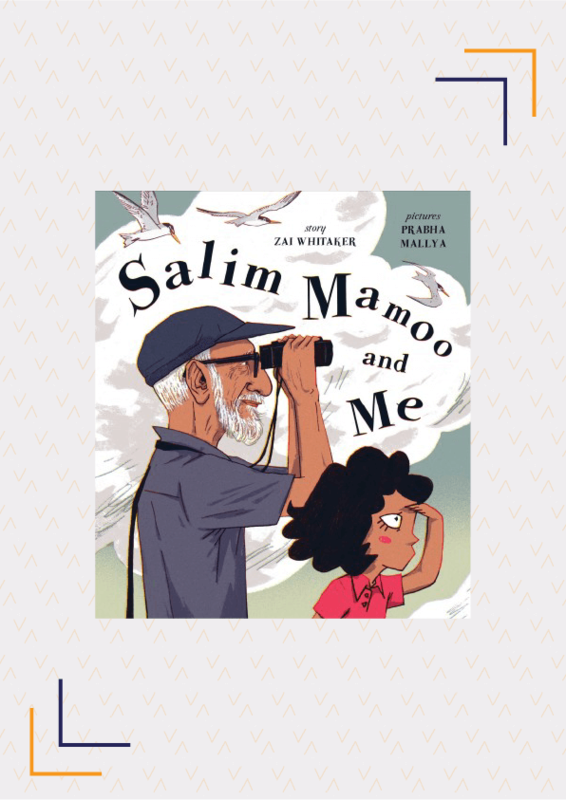 Salim Mamoo And Me is a delightful portrait of the author’s childhood when she was with her uncle, Salim Ali, the famous ‘Birdman of India’ and recounts her ineptitude when it came to birding. The book contains beautiful collages of early Mumbai, full of birds as observed by author and Salim Mamoo. Jadav And The Tree-Place is an inspiring picture story featuring Jadav ‘Mulai’ Payeng who planted a whole forest after seeing the plight of snakes that washed ashore because of a flood, and were then dying in the heat. Children will learn the benefits of planting trees through this wonderful story based on a real hero. Based on true events, Magnificent Makhna is the story of an elephant who protects the forest from poachers, tree cutters, and timber traders. The story highlights the importance of forest conservation. These books turn learning about subjects we would usually not find appealing into a fun and engaging activity. In The Insect Boy, Roy grew up to dislike creeping, crawling, and flying insects until one day when he learned about the world of insects in a completely different way. This beautifully illustrated book changes children’s perception of insects as they learn more about them. 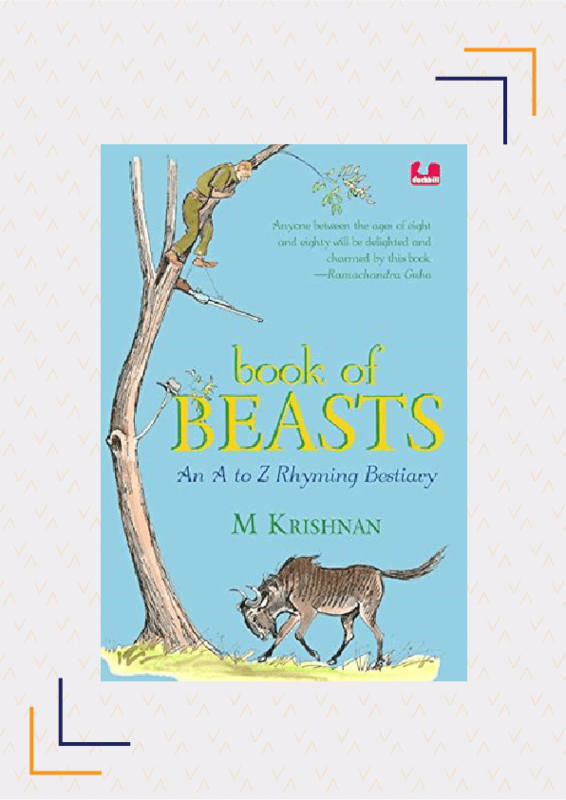 Book Of Beasts: An A To Z Rhyming Bestiary is an insightful alphabet book that admirably combines poetry and science, and talks about endangered animals and their habitat and urges the children to save them. This picture book, Stick Your Tongue Out! teaches kids about animal tongues of various sizes, shapes, and colours and their various uses. The best way to teach kids about the environment is through storytelling. The Case of the Missing Water is the story of Ranj who sets out to find the missing water after the tank in her village dries up. It is an interesting way to talk about the issue of water depletion and how it is caused. 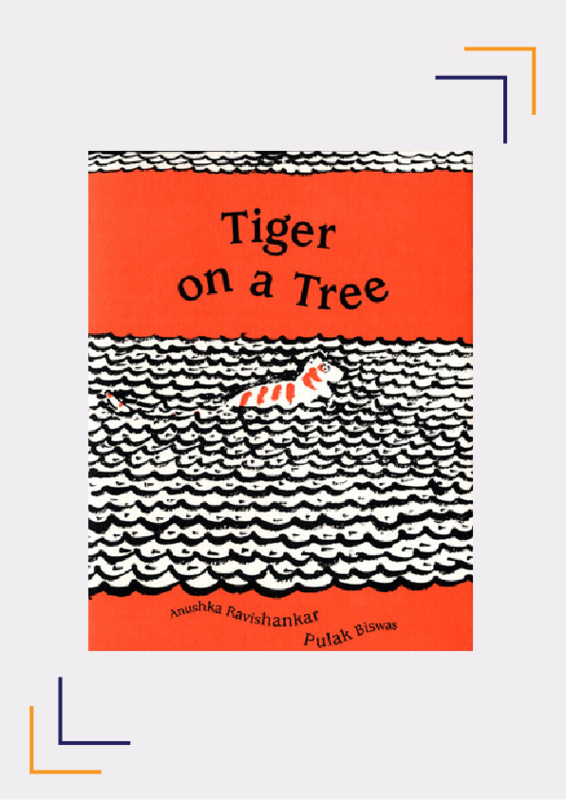 Tiger On A Tree is the story of a wild tiger cub who wandered into a village. The vivid artwork transports the kids into a world of adventure and explains that the tiger was wandering as a result of deforestation. Welcome to the Forest follows Tulsa, a visually impaired girl, who gets to visit Kanha Tiger Reserve with her school friends. With her and her friends, we also get to experience the forest through its sounds. We share our ecosystem with the birds and animals around us. So, we should also learn to respect their space and help them when needed. 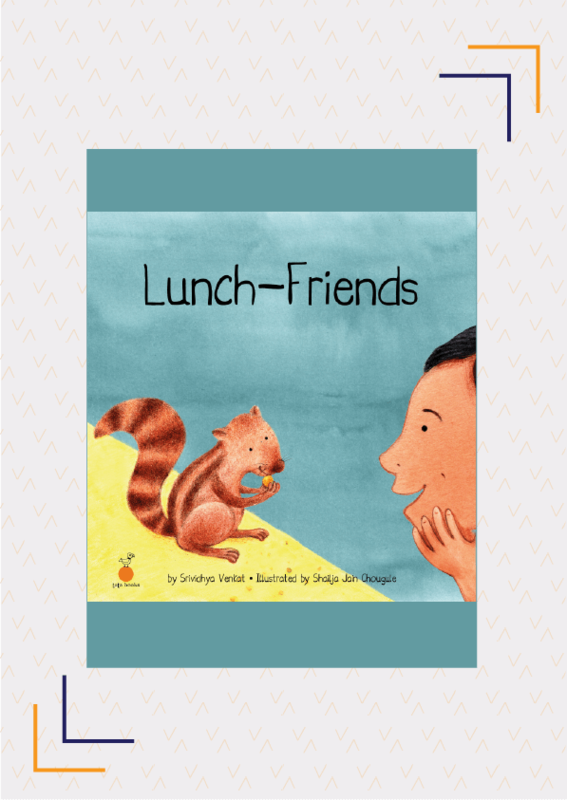 In Lunch Friends, five-year-old Mihir is anxious because his ‘lunch friends’- the birds and squirrels- stop coming to the kitchen window after the nearby mango tree was cut. The story aims to encourage children to think about the living beings around them. My City, My Dogs introduces us to the many street dogs of Mumbai, who share the city with its people, with the help of illustrations combined with photographs. The Little Bird In The Big Mountains tells the story of Meera, who rescues an injured bird while on her way to buy new shoes, and then takes care of it till it is well enough to fly away. Since there is more life in the oceans and seas than on land, you cannot understand nature without knowing the underwater world. DIVE! uses beautiful and colourful images to provide a glimpse into the breathtaking world of coral reefs and introduces kids to some peculiar and fascinating sea creatures such as parrotfish, batfish, and clownfish. 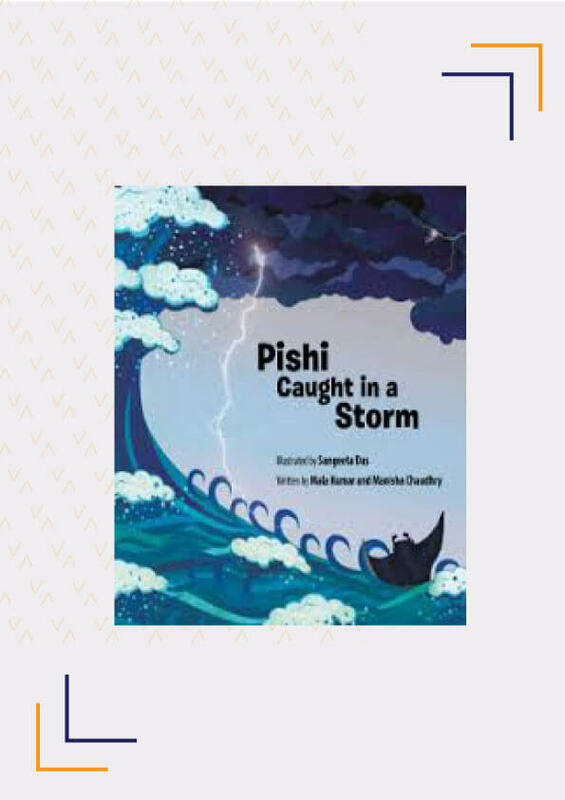 In Pishi Caught in a Storm, a huge manta ray fish, Pishi, was caught and wounded in a sea storm and the other fish help him treat his wounds. The book depicts, with the help of captivating images, how sea creatures help each other when needed. In Ghum-Ghum Gharial’s Glorious Adventures, Ghum-Ghum, the little alligator has lost her family on her very first swim and is on a quest to find them. She meets various sea creatures on her way to find her father. Have you read any of these books to your children? Have we missed any environment-related books? Share with us in the comments below. This list was curated by Parinita Shetty. Read her article on why you should read books about the environment to your children.